I just got MMD, what do I do first? 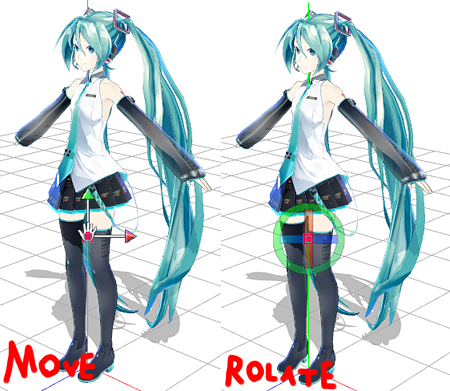 What are the basics of MMD? 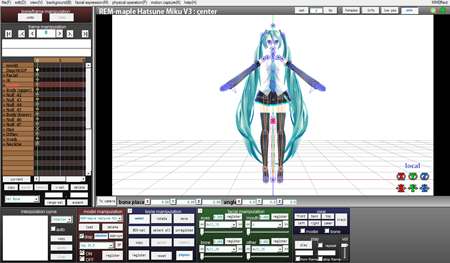 How do I open a model in MikuMikudance? 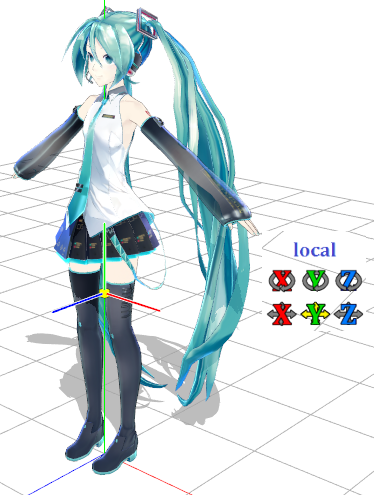 How do I move my dancer in MMD? Hello everyone! 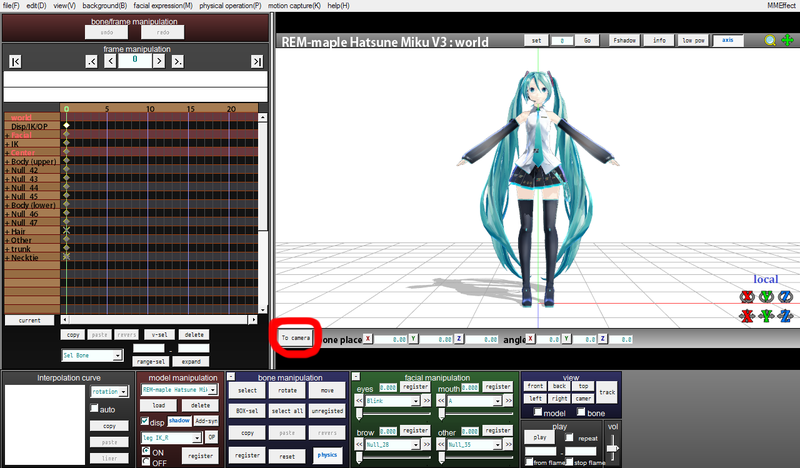 If you’re new to MMD and have no idea what your doing, you’ve come to the right place. You are about to learn everything you need to get started. So this is how everything looks when you open MMD. 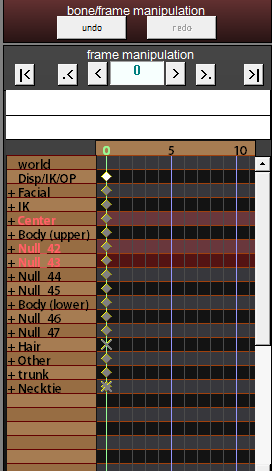 Click “load” model in the brown tab to load a dance model. Navigate to your model. They are in the UserFile folder, if you want more models, download them from deviantArt. Those blue lines are called bones. There are two ways to move bones. One way is by Selecting your bone and then moving it using the XYZ rollers down in the corner of the view. The other way is “Move and Rotate”: Click a bone on your model or select a bone from the frame chart bone list. Then, in that blue panel, you can select Move or Rotate. Move your cursor over the bone on your model and see the graphic that pops up letting you drag the bone where you want to move it. Now c’mon, test it out, put a character in a pose. 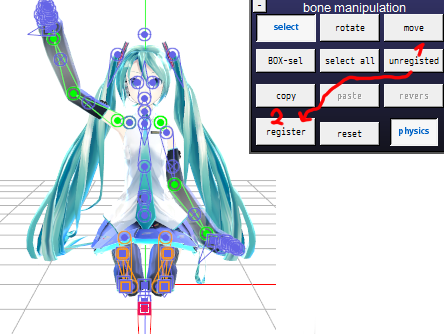 Remember to click REGISTER in that blue “Bone Manipulation” panel. Green bones are moved but not registered. Great… now you know how bones work. You can click the little arrows at the top by the frame counter to step through the frames. 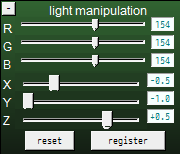 You can also use your keyboard’s arrow keys to move through the frames. You can enter a frame number into that chart and then ENTER to jump to that frame. The normal frame rate for an MMD animation is 30 frames per second, so as you plan to move your model, remember that the model is moving at 30 frames per second. Go to frame 30 and put the character in different position, register, and click play. If you did it all right, your character should move. Good job. 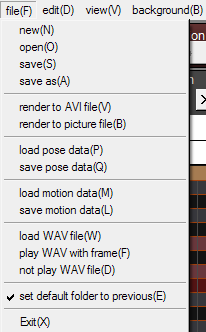 “render to AVI file” is saving your animation as a video. 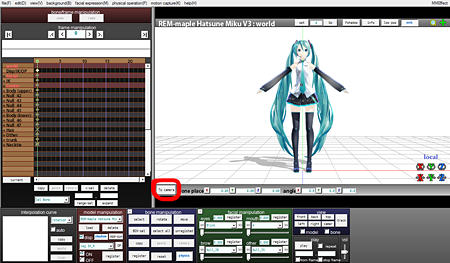 and for those who don’t know, WAV is the ONLY audio format supported in MMD and AVI is the ONLY video format supported on MMD. In the VIEW tab, the most important part is “screen size” the best is too keep it at 1280×720. Each option literally says what it does, so test it out. See? Its easy… remember to click the Register button for each slider. 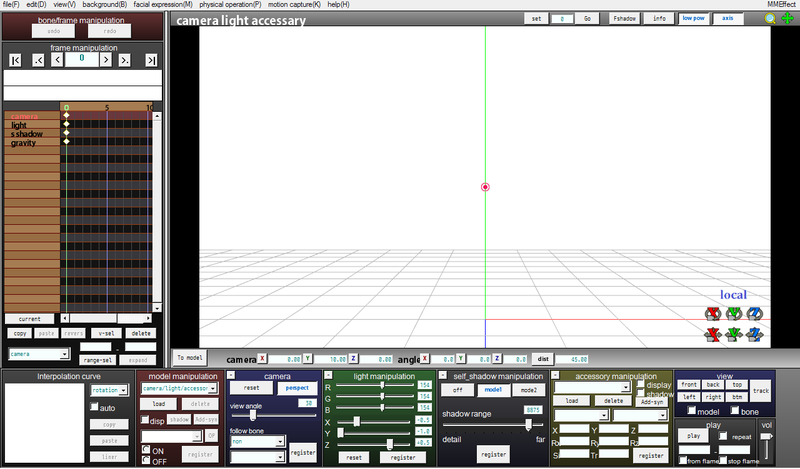 The camera moves the same as with a model; just move, register, move, register, and play! You can move the Camera around using the rollers… or use the magnifying glass and the cross in the upper right of your screen… or right-click and drag your camera around on the screen. 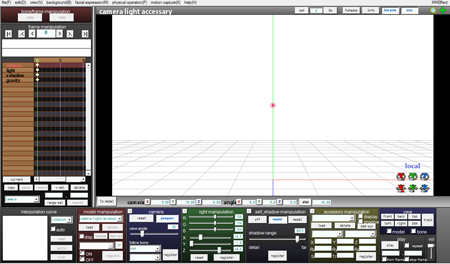 Use the center mouse button to move the camera, as well… just test it out to see how to move the camera. Register (Enter) to save your moves. In light manipulation “Test it out”, slide the sliders and you will see how cool this is. It’s really similar to facials because you slide the sliders. When you move these, the colors become brighter, darker, and the shadows change. Remember to register! That’s pretty much all you need to know to start your animation. Be sure to SAVE your work often! And don’t forget to test it out with each feature to learn how to use them all. LearnMMD.com has many “Getting Started” tutorials… and our “Getting Started” page for step-by-step MMD instructions!